West Wind Technologies has released Help Builder 5.17. Help Builder creates online and offline documentation with easy tools based on Markdown to quickly create content and publish output to the Web, PDF, MS Word or CHM files. Help Builder's Web based templates make it easy to create great looking online documentation while you can focus on creating your content. Version 5.17 is a maintenance release that fixes a few small bugs, improves image url encoding and pathing issues, adds an option to open topics for editing in Markdown Monster (with updates), adds a new copy to folder for HTML output, command line Local Web Server previews, and a cleaner build completion dialog. Help Builder is available as shareware, and registered users of V5.x can update for free. West Wind Technologies has released Markdown Monster 1.16 of its popular Markdown Editor, Viewer and Weblog Publishing tool. Markdown is an easy to use writing format for creating HTML content and MM makes it easy to create Markdown content in a productive writing environment with intuitive tooling support. MM can also create HTML and PDF output or can publish Markdown directly to your Weblog. v1.16 introduces a new centered mode, capturing content from StdIn directly into the editor, improved Math and MathML support, a new Console Addin and a few new keyboard shortcuts like Shift-Enter for soft line breaks. Markdown Monster is free to try but requires a small registration fee for continued use. West Wind Web Connection 7.04 is a maintenance release for the popular FoxPro Web development framework. Web Connection is a rich and mature tool for building HTML based Web applications and HTTP APIs and services using FoxPro, so you can continue to use what you already know to build Web applications. Version 7.04 fixes a few small bugs after the major 7.0 release and adds a handful of small library improvements focused on easing the development workflow around working with, running and deploying applications. Web Connection is available as shareware and registered users of v7 are eligible for free upgrades. West Wind Technologies released v1.12 of its WebSurge HTTP request and load testing tool. WebSurge is designed to easily and repeatedly capture and play back individual or sessions of HTTP requests of your applications. You can capture all types of HTTP content including HTML and asset requests, or more commonly REST or SOAP services. WebSurge's workflow is optimized to make it easy to create or capture requests, test them quickly and then store and share them for later playback or testing. You can be up and running load tests in a few minutes. Load tests produce simple understandable stats that make it easy to capture and compare results between runs. Version 1.12 adds support for remembered session cookies, additional options for randomized requests, an easy way to paste HTTP requests into the request editor as well as many UI tweaks and fixes. A shareware version is available and registered users for v1.x can upgrade for free. We?ve issued the Call for Speakers for Southwest Fox 2019 (http://www.swfox.net/CallForSpeakers.aspx). If you are interested in presenting, please read the document referenced in that page and consider submitting sessions via the Geek Gatherings Submission Web site. Southwest Fox 2019 is going to be held October 24-27, 2019 in Gilbert, Arizona. West Wind Technologies has released Help Builder 5.15. Help Builder is a tool for building online and offline documentation with easy tools based on Markdown to quickly create content and publish output to the Web, PDF, MS Word or CHM files. Help Builder's Web based templates make it easy to create great looking online documentation while you focus on creating your content. Version 5.15 is a maintenance release that improves performance of the editor and fixes a few small issues. , adds a new topic outline for Web output, cleans up themes (especially lighter ones), improves FTP uploads, improves editor performance and adds a new JSON export for projects. Also new: Time to Read in topics, soft break (shift-enter) support in the editor, a new link dialog, a new topic outline and much more. West Wind Technologies has released a new major version of its client side toolkit for Visual FoxPro. The Client Tools provide a host of Internet functionality to FoxPro applications including SMTP email, FTP and SFTP, and a rich HTTP client. There are also many utility classes including JSON and XML Serializers, a simple business object layer, SQL Server data access wrapper, a powerful .NET bridge to access just about all .NET components without COM registration, PDF rendering, a REST Service client and more. 7.0 introduces a new wwDynamic class, switches the remaining VCX classes to PRG classes, adds a host of wwHttp enhancements and much more. A shareware version is available for download to check out the product. Version 7.0 is a major version upgrade and requires a paid upgrade for previous version users (with a 1 year free upgrade grace period). West Wind Technologies has released Markdown Monster 1.15 of its popular Markdown Editor, Viewer and Weblog Publishing tool. Markdown is an easy to use writing format for creating HTML content and MM makes it easy to create Markdown content in a productive writing environment with intuitive tooling support. MM can also create HTML and PDF output or can publish Markdown directly to your Weblog. v1.15 adds a new split editor view, supports editor margins and maxwidth for a more control over actual editing width, improved support for Mermaid Charts and MathML, along with a handful of small enhancements to improve usability. Markdown Monster is free to try but requires a small registration fee for continued use. West Wind Web Connection 7.02 is a maintenance release for the popular FoxPro Web development framework. Web Connection is a rich and mature tool for building HTML based Web applications and HTTP APIs and services using FoxPro, so you can continue to use what you know to build Web applications. Version 7.02 fixes a few small bugs after the major 7.0 release and adds a handful of improvements focused on easing the development workflow around working with, running and deploying applications. There are also a few enhancements to wwHttp, a new wwDynamic object class, and some pathing helpers to work around FoxPro's path casing limitations. Web Connection is available as shareware and registered users of v7.x are eligible for free upgrades. This white paper contains my session notes for the Southwest Fox 2018 session Marking up the World with Markdown. This article provides an overview of what Markdown is and why it is useful for generic writing tasks as well as for integration into FoxPro or Web applications. Markdown is immensely popular these days as a text entry format and in this post you learn how you can easily use it from your own FoxPro and more importantly why you might want to use it in the first place. West Wind Technologies has released Markdown Monster 1.14 of its popular Markdown Editor, Viewer and Weblog Publishing tool. Markdown is an easy to use writing format for creating HTML content and MM makes it easy to create Markdown content in a productive writing environment with intuitive tooling support. MM can also create HTML and PDF output or can publish Markdown directly to your Weblog. v1.14 is mostly a maintenance release that improves usability, stability and performance of the editor and support features, along with a handful of small enhancements to improve usability. Markdown Monster is free to try but requires a small registration fee for continued use. Need to add a full authentication system to your Web Connection application? 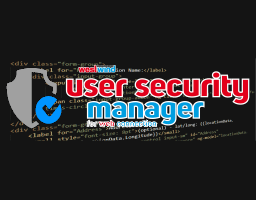 User Security Manager is a drop in interface for West Wind Web Connection to provide user authentication, profile management, account validation, password recovery, a user menu widget and an administrative user management interface. The library is a drop in wwProcess class, along with a set of page templates that can be customized to your application's UI and feature set. Why reinvent the wheel when you can get a head start to one of the most common tasks that almost every Web application needs. West Wind Web Connection 7.0 is a major upgrade to the popular FoxPro Web development framework. It is a rich and mature tool for building HTML based Web applications and HTTP APIs and services using FoxPro, so you can continue to use what you know to build Web applications. Version 7.0's focus is on making it easier to create new projects, get started quickly and effectively manage, deploy and update your Web Connection applications by providing automated yet customizable tools to set up and manage your applications. There are also many functional improvements, performance enhancements as well as a number of security fixes. As always Web Connection is available as a shareware version to check out for free, with full versions and upgrades available for users of earlier versions. The next meeting of the Philadelphia Visual FoxPro User Group is next Tuesday, November 13. The meeting is at Smooth-On Inc., 5600 Lower Macungie Rd, Macungie, PA 18062. The meeting will begin at 7 PM, but bring some dinner and come as early as 6:30 PM. If you arrive at Smooth-On and there?s no one to let you in, call Bob Pierce at (610) 865-6910. Scott P. Malinowski will present ?Leveraging your product's website to expedite product development and stability.? Scott works for NEMRC (New England Municipal Resource Center). He has been a VFP Developer for 26 years from FoxPro Base upward, with some Quicksilver and Xbase 3. Abstract: Most vertical market applications have a corresponding website to market the sales of their application. The purpose of this session is to show you how easy it can be to use the same website to serve updates, collect and report error information, collect and report other system information, validate active clients and keep your customer databases up to date with current information. The session will show the use five technologies, Visual FoxPro, HTML, perl and FTP and Windows Scheduled Tasks. 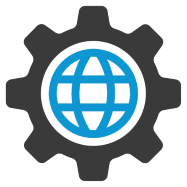 West Wind Technologies has released an update to West Wind Web Service Proxy Generator that addresses a few security and compatibility issues. The proxy generator is a tool to allow you to easily connect FoxPro to SOAP 1.x Web Services by generating a .NET based proxy that is directly callable from FoxPro, without requiring you to create intermediary .NET code. A Wizard facilitates importing of services and generating the .NET proxy and FoxPro wrapper class that can be used to call the service. This updates addresses more explicit support for TLS 1.2 in older clients, and updates security settings and automatically attempts to deal with .NET DLL blocking for internet installed applications. West Wind Technologies has released Web Connection 6.50 BETA of its Web Development tool set for Visual FoxPro. Web Connection is a rich tool for building HTML based Web applications and HTTP APIs and Services using Visual FoxPro for back-end processing. Version 6.50 updates all support frameworks including upgrades to Bootstrap 4 and FontAwesome 5 and reconfigures how dependencies are loaded (away from now obsolete Bower), adds a number of new Markdown features, support for easily sanitizing HTML from user input and Markdown, new generic wwPDF Printer driver support, many enhancements to wwDotnetBridge and new upload components. Although a major update with lots of support feature updates, the core product has no breaking changes from Version 6. Version 6.50+ is a paid upgrade, but during the beta period registered v6 uses can get the full version and a free shareware version is available to check out Web Connection. Time is running out - we're only a couple of weeks away from Southwest Fox and there is Web Connection training again this year immediately before the conference. Come to our 2 day West Wind Web Connection workshopand find out how to create powerful Web applications in 2 content packed days. Find out about the new features of Web Connection 6.0 and see them applied in hands on sessions that walk through creating a Web application from scratch. Day one provides an introduction to Web Connection and shows off what's new in Web Connection 6.25, while day 2 brings you a full day of conference style sessions that deep dive into specific Web and Web Connection technologies in detail. Come join us in Gilbert and up your skillset to build modern Web applications with FoxPro. West Wind Technologies has released Markdown Monster 1.13 of its popular Markdown Editor, Viewer and Weblog Publishing tool. Markdown is an easy to use writing format for creating HTML content and MM makes it easy to create Markdown content in a productive writing environment with intuitive tooling support. MM can also create HTML and PDF output or can publish Markdown directly to your Weblog. v1.13 brings support for Favorites, a key mappings manager, a new vertical tab bar for Files, outline and Favorites. There have also been a lot of bug fixes and UI tweaks to improve usability. Markdown Monster is free to try but requires a small registration fee for continued use. West Wind Client Tools 6.22 is here with a few exciting updates to existing features. The Client Tools provide a host of Internet functionality to FoxPro applications including SMTP email, FTP and SFTP, and a rich HTTP client. There are also many utility classes including JSON and XML Serializers, a simple business object layer, SQL Server data access wrapper, a powerful .NET bridge to access just about all .NET components without COM registraiton, PDF rendering and more. 6.22 provides a host of improvements including a fix for wwDotnetBridge OS File Blocking, a new generic wwPDF driver for Windows PDF drivers, >16meg HTTP file uploads, a host of Markdown improvements and more. A shareware version is available for download to check out the product and registered users of V6.0 and later can update for free. The next meeting of the Philadelphia Visual FoxPro User Group is next Wednesday, September 12. (Note the special meeting night, due to Rosh Hashanah.) The meeting is at Smooth-On Inc., 5600 Lower Macungie Rd, Macungie, PA 18062. The meeting will begin at 7 PM, but bring some dinner and come as early as 6:30 PM. If you arrive at Smooth-On and there?s no one to let you in, call Bob Pierce at (610) 865-6910. Tamar Granor will do a Southwest Fox preview with her session ?Drag Your Applications into the 21st Century with Drag-and-Drop.? Abstract: Users today expect to be able to interact with applications by dragging and dropping. FoxPro has offered drag-and-drop capability since VFP 3, but many developers have never worked with it. In fact, VFP offers two separate approaches for drag-and-drop, a native capability and OLE drag-and-drop, which allows you to interact with other applications and gives you greater control over the process. In this session, we'll look at both approaches and show both how easy simple drag-and-drop is, and the complex things you can accomplish with it. Provider All Providers ABL - The Problem Solver Advisor Media, Inc. AFP FAQ (Community) AKSEL Solutions Alden Anderson Atlanta FoxPro Users Group, Inc. AtoutFox AtoutFox Bay Area Association of Database Developers Boston Area FoxPro User Group Central New Jersey Microsoft Developers Association Central PA Visual FoxPro User Group Chicago FoxPro Users and Developers Group Codebook Framework Dallas/Fort Worth FoxPro Users Group Dash Point Software, Inc. Detroit Area Fox User Group Developers User Group DevTeach Inc. dFPUG Discovery Center, Inc. DNG Solutions dotComSolution Electronic Filing Group EPS Software Corp. ETFUG: East Tennessee FoxPro Users Group F1 Technologies Fox Forward Fox Show Podcast Fox Training FoxForum FoxMasters.com FoxTalk 2.0 FoxToolbox.Com Geeks and Gurus, Inc. Grand Rapids Area FoxPro Users Group Hazen Hills Software Hentzenwerke Hentzenwerke Publishing J.C.N. Associates, L.L.C. Kirtland Associates Los Angeles VFP Developers Group MadFox - Madison FoxPro Users Group Main Line Software, Inc. Micromega Systems Microsoft Midwest FoxPro Users Group Moxie Data, Inc Northern New Jersey FoxPro Users Group Oak Leaf Enterprises Online FoxPro User Group Orange County FoxPro Developers Group PCSoft Business Automation Private Limited Philadelphia Visual FoxPro User Group PortalFox Potomac Area FoxPro Users Association Potomac Area FoxPro Users Group (PAFOX) Professional Systems Plus, Inc. ProFox ListServe ProLib Software GmbH RapoZine Recital Corporation Red Matrix Technologies Resolution Rocky Mountain Fox User Group S.F. Bay Area Association of Database Developers Sacramento Microsoft Database SIG Salt Lake City Fox User Group Seattle Visual FoxPro User Group Southwest Fox Conference Southwest Fox Practical Developers Conference Steven Black Consulting Stonefield Systems Group Inc. TakeNote Technologies TaskPane Central Ted Roche & Associates, LLC Tightline Computers, Inc Universal Thread Vancouver FoxPro User Group VFPConversion.com (EPS) VFPSIG.NL VFPx Project on CodePlex VFUG (Virtual FoxPro User Group) Visionpace West Wind Technologies White Light Computing, Inc.